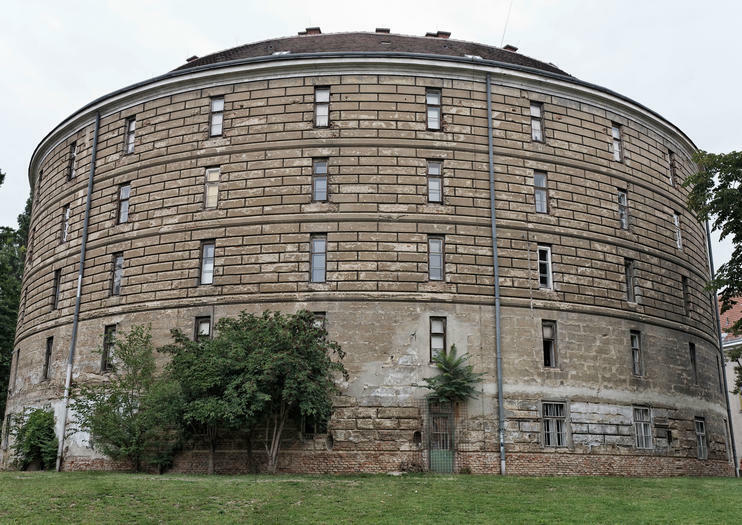 Located in the first psychiatric hospital ever to be built in Austria, Vienna’s Federal Pathologic-Anatomical Museum is a creepy old tower that formerly housed the mentally ill and the criminally insane. The ‘Narrenturm’ (‘mad tower’) was built under Emperor Joseph II in 1784, next to the site of the old Vienna General Hospital, which is part of the University of Vienna’s campus today. The Narrenturm still has the same cells, barred doors, and chains that once restrained the unfortunates living there. After the psychiatric hospital closed in 1866, the tower was used as doctors’ and nurses' quarters, and for university clinics and workshops. The Federal Pathologic­-Anatomical Museum has been stationed in the Narrenturm (which is now owned by the University of Vienna) since 1971. The museum has an unusual collection including wax molds of different body parts, organs, and diseases; created for medical students to study from in the pre­photography era. This offbeat museum presents a fascinating, and slightly disturbing, side of Vienna’s scientific history. Guided tours in German are available every hour, on the hour, and allow access to an additional floor of the museum that the general entrance fee does not. The last tour leaves at 5 p.m. on Wednesday and at noon on Saturday. Tours cost 6 € (plus the museum’s admission fee). To get to the Narrenturm on public transit, you can take the U6 to Alser Strasse or the U2 to Schottentor. Enter the University of Vienna’s campus from Van­Swieten Gasse to access the museum. Hours: Wednesday, 10 a.m. – 6 p.m.; Saturday, 10 a.m. – 1 p.m.; Closed on public holidays.